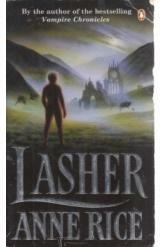 Lasher by Anne Rice, Sci Fi. Book is in good condition, all pages intact. Lasher, the family demon of the Mayfair witches, seeks to be made flesh. When he kidnaps Rowan Mayfair and turns against his masters, choas and terror reign. Part of the Mayfair Witches series.